At this time the Hilton and Waldorf are SOLD OUT. Registration is still open but our hotel block is now completely full on Monday night. Please email Shelly O’Neill if you would like to be added to the waitlist or have any questions. To Reserve Your Room: After you register, please make a hotel reservation on the sPCMA Business Forum Hotel Reservation site or by calling the hotel directly and referencing “PCMA.” You must be a registered attendee to secure a room in the PCMA room block. Please contact Shelly O’Neill with hotel-related questions. Conference registration neither confirms nor guarantees hotel placement. Rooms are assigned on a first-come, first-served basis and are expected to sell out. PCMA staff will closely monitor the hotel room block and will notify attendees when/if the hotels sell out. Early Departure Fee: If a hotel guest checks out prior to the reserved check-out date, the hotel will add an early departure check-out fee to the individual’s account (equal to one night’s room plus tax). Guests wishing to avoid an early check-out fee should advise the hotel at or before check-in of any change in planned length of stay. All reservations that are two nights or more require a two-night room deposit. This deposit will be applied to the first two nights of stay and charged 28 days prior to arrival to the card provided when making the reservation. If the reservation is only for one night, deposit will be for one night. Cancellation requests must be received in writing on or before February 8 in order to avoid forfeiting the hotel deposit. Failure to arrive on your scheduled arrival date will result in the cancellation of remaining reserved room nights. It’s about 20 miles or a 25-minute drive from Orlando International Airport (MCO) to The Hilton Bonnet Creek or the Waldorf Astoria Orlando. Uber as well as taxis and black cars pick up outside of baggage claim. 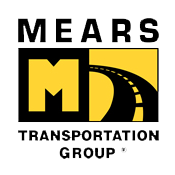 Mears Transportation is the hotel’s preferred car service and can be arranged in advance by calling 407-423-5566 or by visiting their website.